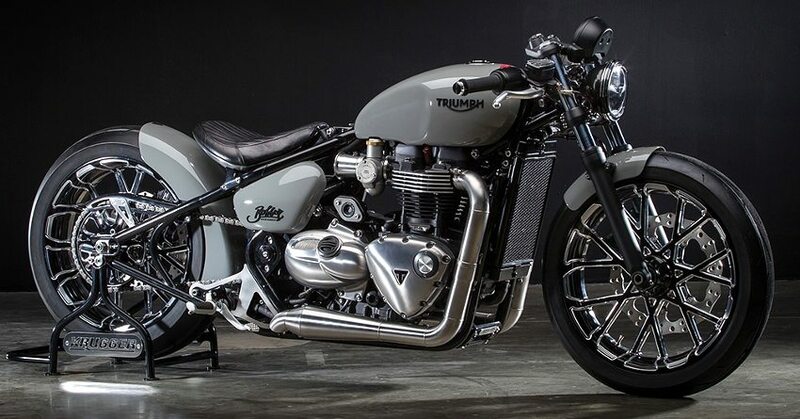 Meet Triumph Bonneville Bobber Basse-Bodeux: Bonneville Bobber is an amazing way to express your desire for exclusivity among Indian riders. Priced at INR 10.08 lakh, it makes the fact sure that heads turn at every possible point. 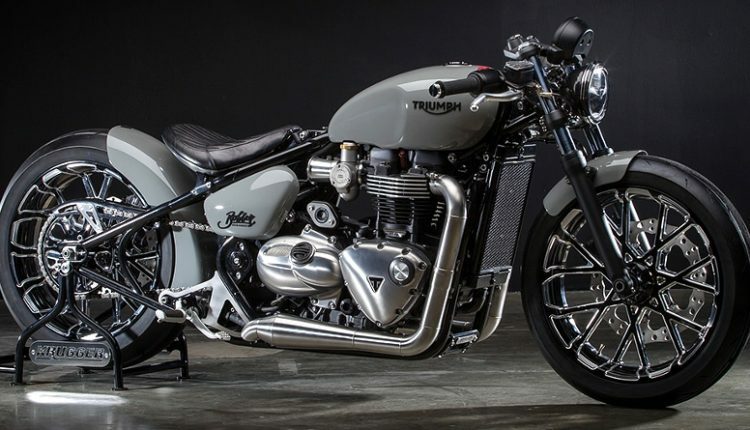 This Triumph Bonneville Bobber went into the hands of Fred Krugger Bertrand and came back with some serious upgrades to its personality. They call it ‘Bobber Basse-Bodeux’. Fred was given this bike by Triumph itself but they wanted him to keep original frame and engine configuration intact. He had a limited time frame to finish this job and thus, work was started as soon as the bike arrived in his garage. 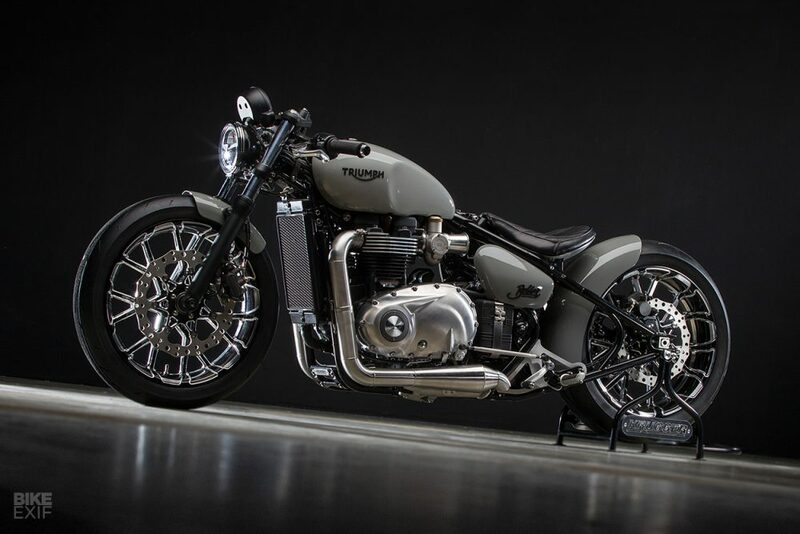 Krugger pushed some drag bike DNA into this Bobber by lowering the front suspension by 25mm. More than that, the fuel tank was lowered by 40mm through redesigning and now, carried 16 liters of fuel carrying capacity as compared to 9.1 liters. Bobber moniker used here was carved out of Neoprene while custom hardtail setup helped him achieve 75mm more wheelbase from Bonneville Bobber. He is using a custom engine map here and thus, one gets 10% more horsepower on Bobber Basse-Bodeux. 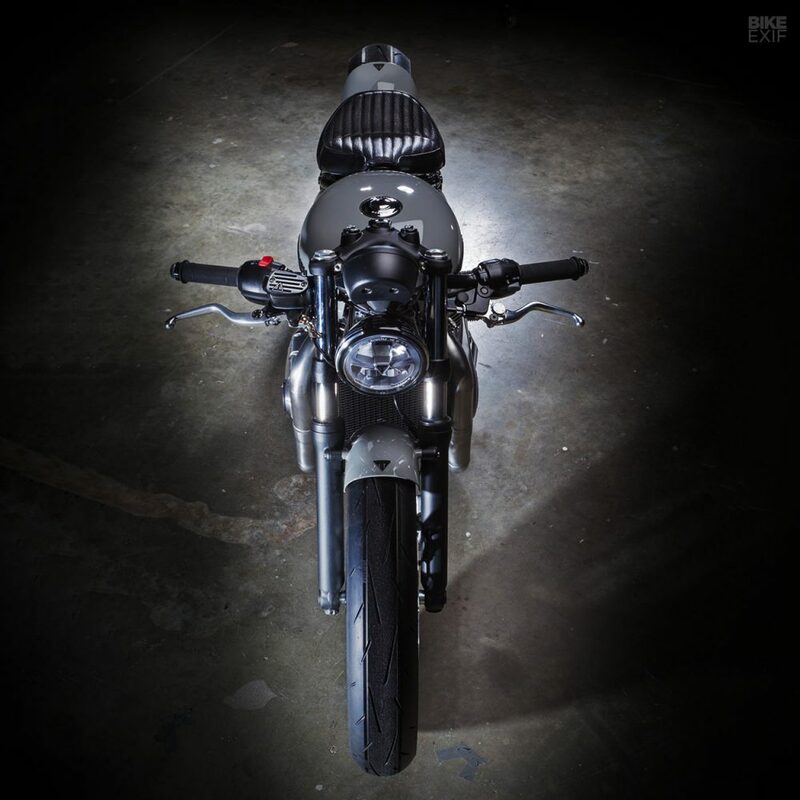 Custom INOX exhaust system further helps the motorcycle during straight road drag moments. 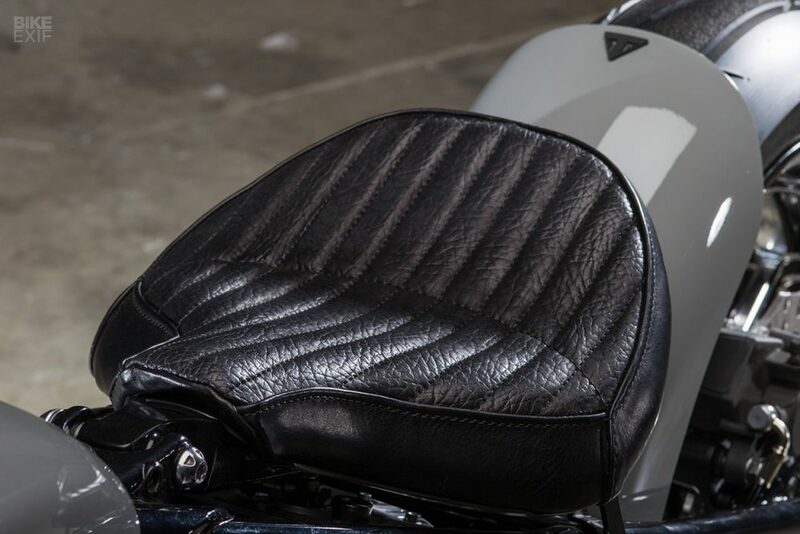 The motorcycle comes with 18-inch alloy wheels and better discs from Arlen Ness. 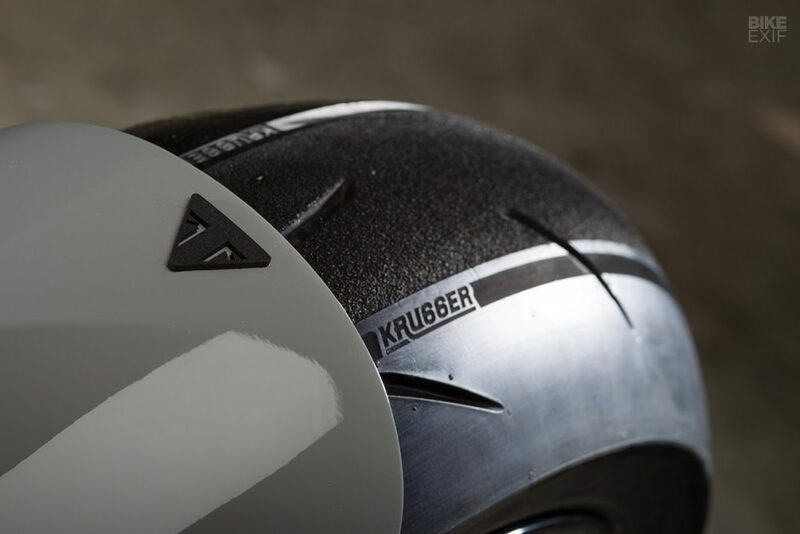 Tyres on both ends are sourced from Dunlop while fenders at both ends were developed in-house for a reduction in weight and more performance. 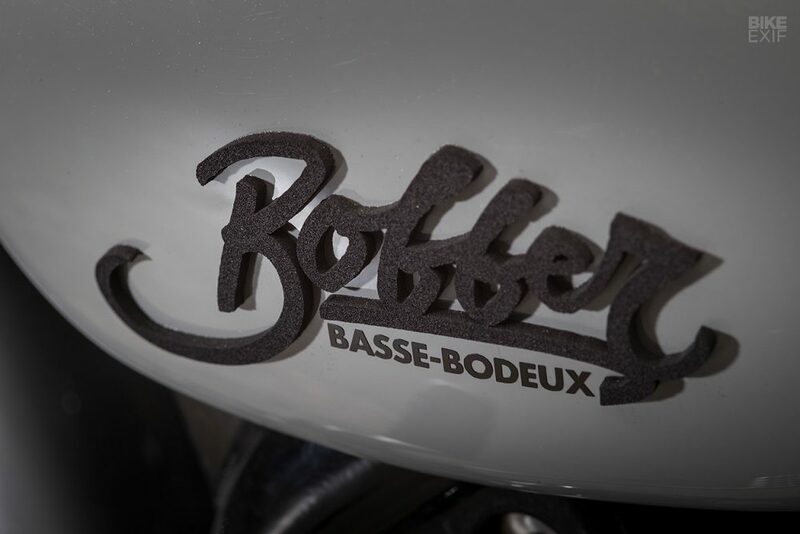 The standard handlebar was inverted to get this final low slung look on Bobber Basse-Bodeux. This mod shows how great things can be achieved without cutting the frame and opening the engine screws. 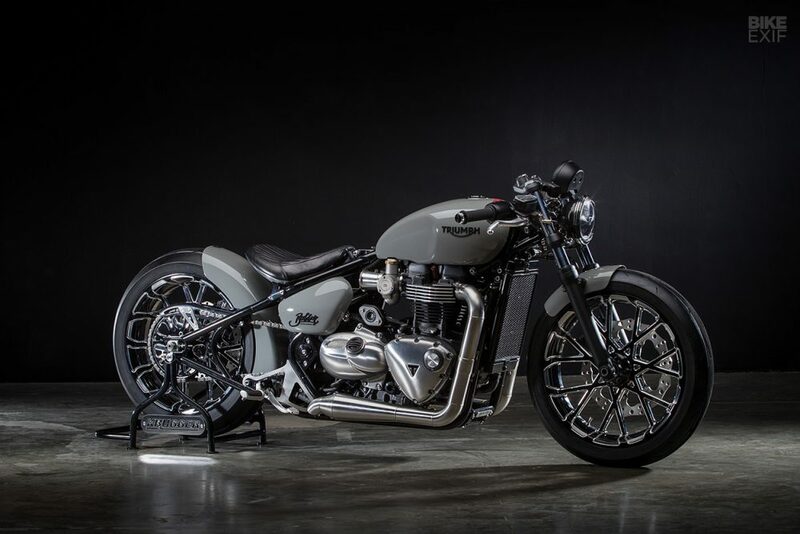 Stock Bonneville Bobber is powered by a 1200cc, twin cylinder engine producing 77 PS at 6100 rpm and 106 Nm at 4000 rpm. The engine comes mated to a 6-speed gearbox.